Read the latest and most important Michigan legal news by our top rated Michigan medical malpractice lawyers. News items include the most recent and highest settlements in medical malpractice lawsuits throughout Michigan. Other legal news includes information on newsworthy malpractices throughout Michigan and legal updates on the most current medical malpractice cases in the news. To have one of our award winning, top rated lawyers represent you in your case, call us now at (800) 606-1717 for a free, no obligation consultation. We do not charge any legal fees unless we are able to recover a settlement for you! There is nothing to lose, so call our award winning Michigan medical malpractice attorneys today! Buckfire Law Attorney Spotlight: Get to Know Randall M. Blau Michigan personal injury Randall M. Blau is an experienced medical malpractice trial attorney who has been a member of the Buckfire Law team for 10-plus years. Now Accepting Stryker Hip Recall Lawsuits Michigan hip replacement attorneys at Buckfire & Buckfire, P.C. are now actively handling Stryker hip recall lawsuits for patient complications. Michigan Lawyer Discusses Lawsuits For Meningitis From Receiving Steroid Injection The medical malpractice lawyers at Buckfire & Buckfire, P.C. are actively investigating the legal rights of patients who have been injured or died due to the meningitis outbreak due to steroid injections. Call now at (800) 606-1717 for a free legal consultation. Michigan Medical Malpractice Lawyer Larry Buckfire Gets Best Reviews (800) 606-1717 Buckfire & Buckfire Michigan medical malpractice lawyers receive best reviews from victims of medical malpractice and obtained best settlements for malpractice injury and wrongful death. Michigan Birth Injury Settlement - Hypotonia - Medical Malpractice Michigan birth injury settlement for fetal distress during the delivery of the child due to medical malpractice. Wayne county Medical Malpractice Lawsuit - Physician Negligence Michigan medical malpractice lawyers representing individuals injured in a medical malpractice due to either hosptial, doctor, or physician negligence. If you or a family member suffer injuries due to a medical malpractice, call us at (800) 606-1717 to speak with one of our experienced Michigan medical malpractice attorneys. Wayne County Birth Injury Settlement - Asphyxia - Medical Malpractice Wayne County birth injury lawsuit settled for $3 million. Parents of children do have legal rights. If your child suffers from birth injuries you may have a medical malpractice case. Contact our office now to speak with one our experienced Michigan medical malpractice lawyers. Bay County Medical Malpractice Verdict - Wrongful Death Lawsuit A medical malpractice that ended sadly in a wrongful death recently settled for $1.4 million in Bay County. Our condolences go out to the family. 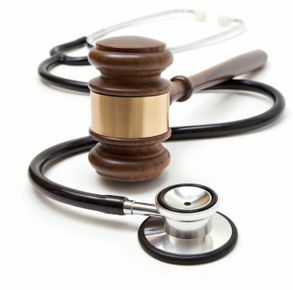 Medical malpractice cases are serious and if you or a family member suffer injuries due to a medical malpractice contact our office now to speak with one of our experienced Michigan medical malpractice lawyers. Hypoxic Ischemic Brain Injury –Medical Malpractice Settlement Medical malpractice case settled for $3.1 million for a woman who suffered a hypoxic ischemic brain injury in the operating room. Michigan medical malpractice lawyers representing individuals injured due to a medical malpractice. Anesthesiology Brain Injury Lawsuit Settles-Hypoxic Ischemic Brain Injury A Michigan medical malpractice lawsuit against an anesthesia assistant and hospital that resulted in a brain injury recently settled.